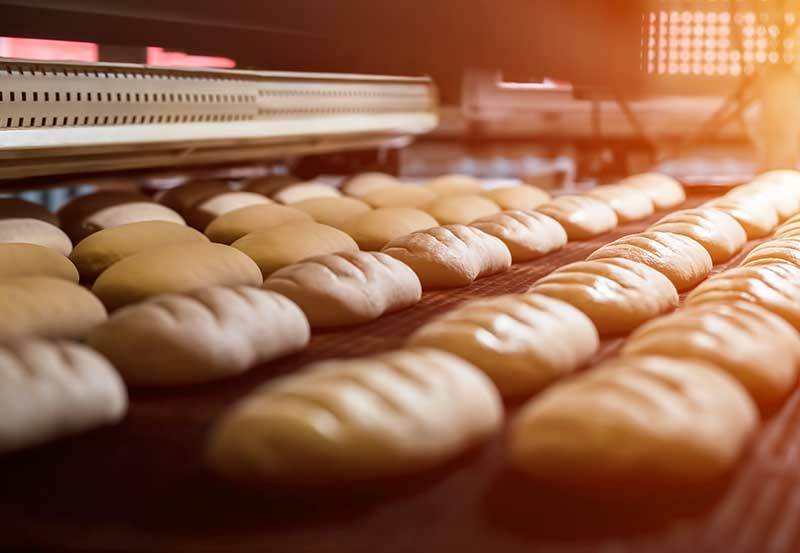 The acidic environment of a bakery’s proofing room presents unique challenges to HVAC-R systems. Information from bakery industry customers indicates that copper fin and tube coils recommended for this environment typically experience a life expectancy of a maximum of 5 years. If the bakery uses steam or high-pressure atomization with reverse osmosis water for humidification, the life expectancy can be dramatically less. To prevent environmental corrosion, coils must be made of stainless steel or covered with a protective coating that has been tested for safety in food processing environments. Stainless is more expensive, less energy efficient, and harder to clean and maintain for food safety. For this reason, our customer recommends Heresite coatings. The use of Heresite coatings on copper coils has been shown to extend the life span of the coils two to three times for this specific customer. Heresite’s P-413 has been tested for resistance to fume exposure for ammonia and ammonium hydroxide, common ingredients in cleaning products. Plus, P-413 has received an NSF/ANSI 51: Food Equipment Materials rating for phenolic-epoxy for HVAC-R coils. The NSF rating establishes that Heresite’s P-413 coating has been shown to meet the requirements for materials and finishes used in the manufacture of commercial food processing equipment and its components. With at least a dozen installations from our customer, bakeries have been very satisfied with the performance. The initial capital expense for the Heresite coating was half of the investment required for stainless, reduced the company’s energy bill by 33%, and reduced sanitation costs by nearly 50%.